Golf is a game of techniques. It might look easy when you’re a spectator but opinions change drastically when you actually play the game yourself. Golf is a game in which you never become perfect completely and you’ve to learn and practice with every breathe. To develop power in the game there are few training aids that even the professionals agree to practice regularly. Seasoned swing training aids: Training aids that have been in the game of golf from long time and are trusted by every professional golfer to enhance their game. 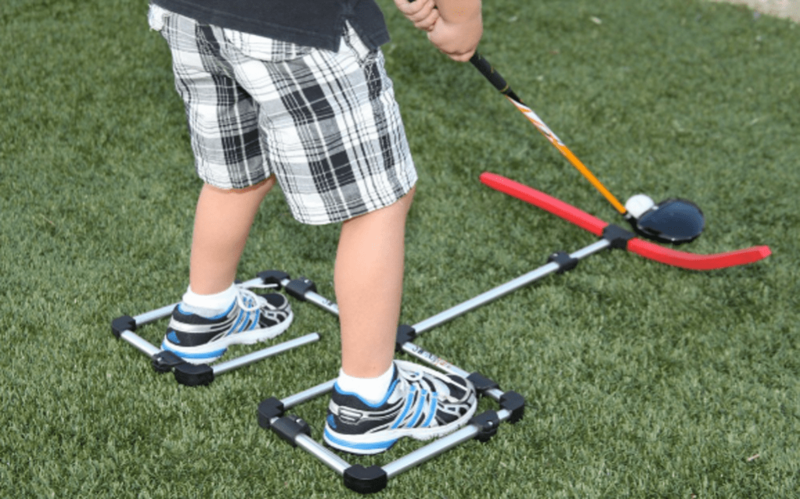 These training aids will induce power and speed in your game and the best thing about these seasoned training aids is that these have been tried and tested by professionals. Golf power fan: Golf power fan is the best to build your golf muscles with no extra weight and also without the stiffness that you feel due to regular swinging. 20 swings a day with no rest and no breaks, continuously from both hands also proves to be a good workout. Now, the key to a good result keeps your upper body as loose and soft as you can and refer to some professional trainer videos to know how intense your swing has to be. Golf power fan is a very intense workout so make sure you do proper warm up before you start doing it. Swing whoosh: Swing whoosh is a great training aid to help you enhance your swing speed. This training aid will help you increase the efficiency of your twitch muscles which contract faster and provide strength rather than endurance, and it’s obvious that you’ll want to improve them. Golf Alignment sticks: This training aid is the most underrated training aid in golf and people don’t believe that alignment sticks can help them improve their game. However, those who have this opinion for golf alignment sticks need to change their thoughts now. Proper alignment is one thing that secretly enhances your game and it’s the thing professionals emphasize on but you ignore. If you have these alignment sticks in your bags and you tend to use them, you can easily increase your power in the game. Tornado ball: Tornado ball is one of the most used methods around the world to increase the explosive strength of a player. Also, it is used with PGA golfers to help them enhance their game. Believe it or not, this is one training aid that is less found to be practiced but it’s the little secret of the best coaches in the world. Moreover, this is an intense workout and should be practised in short bursts for 10 seconds, you can do 4-5 sets regularly to improve but not over do it. Swing Rite: This training aid is a unique one and helps you improve your swing speed. This is a stick which can be adjusted to a swing speed of 45 mph to 110 mph. Also, it has got a click mechanism which makes a click sound whenever you do a great swing. People of San Francisco: How to Meet People in San Francisco?